Verizon Communications posted its second quarter 2012 earnings on Thursday and reported $28.6 billion in revenue for the quarter, up 3.7 percent over the same quarter last year. Wireline revenues for the company came in at $9.9 billion, down 3.1% from the same quarter last year. The company now services 5.1 million FiOS Internet and 4.5 million FiOS video connections and added a total of 134,000 net new FiOS internet connections during the quarter. Verizon Wireless — a joint venture between Verizon Communications and Vodafone — noted service revenues for the quarter of $15.8 billion, up 7.3 percent over the same quarter last year. Data revenues increased $1.1 billion to $6.9 billion during the quarter. The carrier also added 1.2 million net retail customers, including 888,0000 retail postpaid net customers. Verizon Wireless' also said that 50% of its postpaid retail customer base now carries a smartphones, up from 47% last quarter. Verizon's postpaid retail churn was 0.84%, the lowest it has been in 4 years. Verizon Wireless also sold 4.9 million smartphones, including 2.7 million iPhones during the quarter. 64 cents in diluted earnings per share (EPS), compared with 57 cents per share in 2Q 2011 – a 12.3 percent increase. $9.3 billion in cash flow from operating activities, up 20.1 percent compared with 2Q 2011, leading to $7.8 billion in free cash flow (non-GAAP) in 1H 2012, more than doubling free cash flow generated in 1H 2011. 7.3 percent year-over-year increase in service revenues in 2Q 2012; 8.6 percent year-over-year increase in retail service revenues; data revenues up 18.5 percent year over year; 30.8 percent operating income margin and 49.0 percent segment EBITDA margin on service revenues (non-GAAP), both record highs. 1.2 million retail net customer additions, excluding acquisitions and adjustments, includes 888,000 retail postpaid net customers; low retail postpaid churn of 0.84 percent; 94.2 million total retail customers; 88.8 million total retail postpaid customers. 2.5 percent year-over-year increase in consumer revenues, the highest in several years; ARPU (average revenue per user) now tops $100 a month, with 65 percent of consumer revenues generated by FiOS. 134,000 FiOS Internet and 120,000 FiOS Video net additions, with continued increased sales penetration for both products; 5.1 million total FiOS Internet and 4.5 million total FiOS Video customers. NEW YORK – Verizon Communications Inc. (NYSE, Nasdaq: VZ) today reported a second consecutive quarter of double-digit percentage growth in year-over-year earnings results and significant increases in operating cash flow. Verizon Wireless generated record-high margins and strong operational results, and Verizon's Wireline segment generated continued increases in revenues from FiOS fiber-optic services and strategic business services. Verizon reported 64 cents in EPS in second-quarter 2012, an increase of 12.3 percent compared with second-quarter 2011 earnings of 57 cents per share. There were no adjustments in either period. "Verizon delivered another strong quarter of earnings growth and cash generation, and we remain on track to meet our financial objectives and produce solid double-digit earnings growth for the year," said Lowell McAdam, Verizon chairman and CEO. "Verizon Wireless has once again demonstrated its industry leadership, combining strong revenue growth with record margins and high customer loyalty. We reported sequential improvement in second-quarter Wireline margins, and we expect to see that improving trend carry through the second half of the year. We also look forward to the closing of strategic transactions and to the integration of process improvements that will set the stage for continued long-term profitable growth across all our business units." In second-quarter 2012, Verizon's total operating revenues were $28.6 billion on a consolidated basis, an increase of 3.7 percent compared with second-quarter 2011. Consolidated operating income was $5.7 billion in second-quarter 2012, compared with $4.9 billion in second-quarter 2011. Consolidated EBITDA (non-GAAP, earnings before interest, taxes, depreciation and amortization) totaled $9.8 billion in second-quarter 2012, compared with $9.0 billion in second-quarter 2011. Cash flow from operating activities totaled $15.3 billion in first-half 2012, compared with $12.8 billion in first-half 2011. In second-quarter 2012 alone, cash flow from operating activities totaled $9.3 billion, a 20.1 percent increase compared with second-quarter 2011. With capital expenditures of $7.4 billion in first-half 2012, free cash flow (non-GAAP, cash flow from operations less capex) was $7.8 billion in first-half 2012, compared with $3.9 billion in first-half 2011. For full-year 2012, capital expenditures are expected to be flat to down compared with 2011 capital expenditures of $16.2 billion. In second-quarter 2012, Verizon Wireless delivered strong growth in revenues and retail customers; an increase in smartphone penetration; record-high retail postpaid ARPU; and the highest segment EBITDA margin on service revenues (non-GAAP) in the company's history. Service revenues in the quarter totaled $15.8 billion, up 7.3 percent year over year. Retail service revenues grew 8.6 percent year over year, to $15.2 billion. Data revenues were $6.9 billion, up $1.1 billion – or 18.5 percent – year over year, and represent 43.6 percent of all service revenues. Total revenues were $18.6 billion, up 7.4 percent year over year. Retail postpaid ARPU grew 3.7 percent over second-quarter 2011, to a record $56.13, the highest growth in three years. Retail postpaid data ARPU increased to $24.53, up 15.4 percent year over year. Retail service ARPU grew 3.4 percent year over year, to a record $54.29. Wireless operating income margin was 30.8 percent and segment EBITDA margin on service revenues (non-GAAP) was 49.0 percent, both record highs. Verizon Wireless added 1.2 million retail net customers in the second quarter, including 888,000 retail postpaid net customers. These additions exclude acquisitions and adjustments. At the end of the second quarter, the company had 94.2 million retail customers, a 4.9 percent increase year over year, including 88.8 million retail postpaid customers. At the end of the second quarter, smartphones constituted 50 percent of Verizon Wireless' retail postpaid customer phone base, up from 47 percent at the end of first-quarter 2012. Retail postpaid churn was 0.84 percent, the lowest in four years, and an improvement of 5 basis points year over year. Total retail churn was 1.11 percent, an improvement of 11 basis points year over year. Verizon Wireless continued to roll out its 4G LTE mobile broadband network, the largest such network in the U.S. As of today, Verizon Wireless 4G LTE service is available to more than 230 million people in 337 markets across the U.S. – nearly 75 percent of the population. The company introduced two new 4G LTE Internet devices in second-quarter 2012: the Verizon Jetpack 4G LTE Mobile Hotspot 890L and the Verizon Jetpack 4G LTE Mobile Hotspot MiFi 4620L. Earlier this month, Verizon Wireless launched the Droid Incredible 4G LTE by HTC and the Samsung Galaxy S III. Verizon Wireless launched its ShareEverything Plan on June 28, offering customers unlimited voice minutes, unlimited text, video and picture messaging, and a shareable data allowance for up to 10 Verizon Wireless devices. In the second quarter, HomeFusion Broadband, a service that provides high-speed in-home Internet access, became available nationwide. In late June, Verizon Wireless announced an agreement with a subsidiary of T-Mobile USA Inc. to exchange spectrum in the AWS band in specific markets to meet LTE capacity needs and enable LTE expansion. This agreement is contingent on the expected summer closing of Verizon's proposed spectrum transactions with SpectrumCo, Cox and Leap. In second-quarter 2012 in the Wireline segment, revenue growth for FiOS led to overall revenue growth among U.S. consumer customers. Increased sales of strategic services helped mitigate lower revenues resulting from global economic impacts, including the adverse effects of foreign exchange rates compared with last year. · Second-quarter 2012 operating revenues were $9.9 billion, a decline of 3.1 percent compared with second-quarter 2011. Wireline operating income margin was 1.9 percent, compared with 1.6 percent in first-quarter 2012 and 3.1 percent in second-quarter 2011. Segment EBITDA margin (non-GAAP) was 23.1 percent in second-quarter 2012, compared with 22.6 percent in first-quarter 2012 and 23.8 percent in second-quarter 2011. Consumer revenues grew 2.5 percent compared with second-quarter 2011, the highest increase in several years. Consumer ARPU for wireline services reached more than $100 for the first time, increasing to $100.26 in second-quarter 2012, up 8.5 percent compared with second-quarter 2011. ARPU for FiOS customers increased to more than $149 in second-quarter 2012. FiOS services produced 65 percent of consumer wireline revenues in second-quarter 2012. Approximately 70 percent of FiOS consumer customers have purchased a "triple play" of phone, Internet and TV services. Global enterprise revenues totaled $3.8 billion in the quarter, down 3.4 percent compared with second-quarter 2011. Sales of strategic services increased 4.4 percent compared with second-quarter 2011 and represented 52 percent of global enterprise revenues in second-quarter 2012. Strategic services include Terremark cloud services, security and IT solutions, and strategic networking. Verizon added 134,000 net new FiOS Internet connections and 120,000 net new FiOS Video connections in second-quarter 2012. Verizon had a total of 5.1 million FiOS Internet and 4.5 million FiOS Video connections at the end of the quarter. FiOS penetration (subscribers as a percentage of potential subscribers) continued to increase. FiOS Internet penetration was 36.6 percent at the end of second-quarter 2012, compared with 33.9 percent at the end of second-quarter 2011. In the same periods, FiOS Video penetration was 32.6 percent, compared with 29.9 percent. The FiOS network now passes more than 17 million premises. Broadband connections totaled 8.8 million at the end of second-quarter 2012, a 2.6 percent year-over-year increase. Verizon launched several network projects during the second quarter, including deployment of next-generation routing equipment on the global Private IP network to meet growth demands, improve scalability and support 10 gigabit customer access ports and 40G and 100G backbone trunk ports; and a long-term core network architecture project for a common multi-protocol label switching (MPLS) backbone platform that will support current and future service demands. The company also launched its first major initiative to build additional control plane technology into its network infrastructure. This will allow Verizon to deliver on the promise of cloud-based and mobility-enabled industry solutions, as well as enable rapid and automated recovery of complex optical mesh networks. Verizon Enterprise Solutions continued to expand and enhance its capabilities in the U.S. and abroad. In second-quarter 2012, Verizon announced an agreement to acquire Hughes Telematics Inc. This will expand Verizon's machine-to-machine and telematics capabilities and accelerate revenue growth across key vertical segments of Verizon Enterprise Solutions, including automotive and transportation, energy, health care and manufacturing. The transaction is expected to close in the third quarter. Affirmative Insurance; Lane Bryant and Catherine Shops; Lifetouch; NetApp; Shaw Industries Group Inc., a subsidiary of Berkshire Hathaway Inc.; Royal Caribbean Cruises Ltd.; the Commonwealth of Pennsylvania; and Arlington County, Va., were among the companies and government agencies completing agreements with Verizon for a wide range of strategic services to advance their operations. Verizon extended the reach of the Terremark global cloud platform by deploying additional nodes in its London and Denver data centers; expanding its Sao Paulo, Brazil, data center; and launching a new Private Edition of its flagship Enterprise Cloud service. 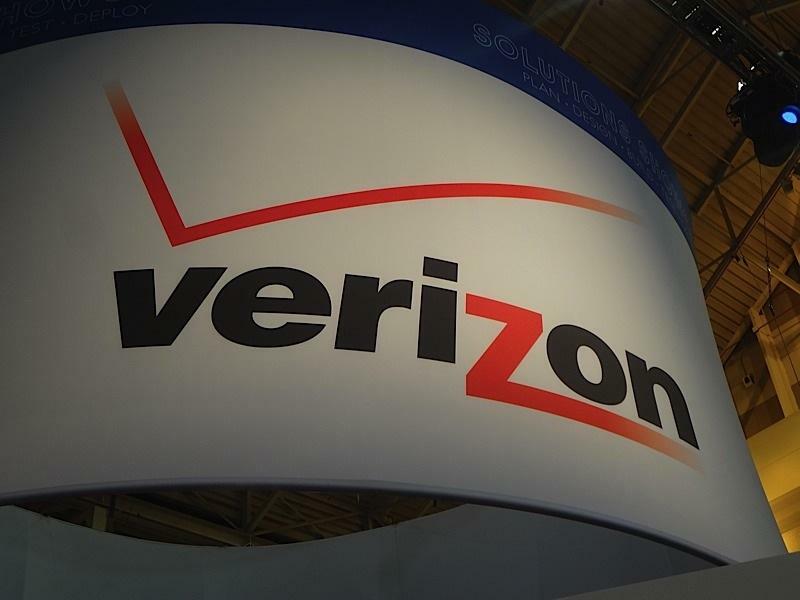 Verizon strengthened its platform capabilities with a new solution that provides access to its global Private IP network service through Verizon's 4G LTE wireless network.